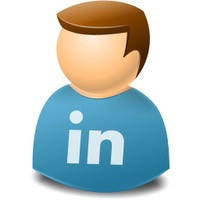 One of the silent professional yet social media platforms is LinkedIn. LinkedIn is a platform made specifically for the professionals and companies to connect with each other. This of course is advantageous to the people who want to use it as a medium for promoting their business and the company profile. Advantage of social media pages is that they allow you to create corporate profiles of the companies and add all the necessary information. Making posts on the company profiles is advantageous – your customers or people who are following your profile might want to remain updated on what your business is doing at the moment. 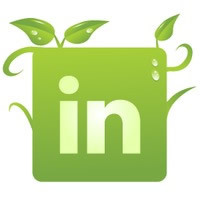 LinkedIn not only is good enough for creating your company’s corporate profile but it also allows you to connect with professionals of your industry and get interactive – a very good way to promote your business and get quality information. 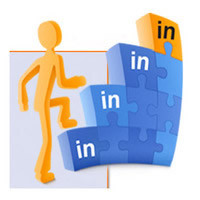 Creating a social profile account with LinkedIn with a corporate profile that suits your company and business type would be step one in the corporate direction and change the URL to the full company or organization title. URL naming is very important as URL structures effect a lot while doing optimization for profiles. Creating proper anchor text links that describes your company the best, also the relevant keywords make a good impression with the search engines. Creating appropriate headlines with necessary information is what you need to make your profile crawlable and reachable to the masses. It is important to make sure keywords are put in the description and job titles – everywhere. Over-doing it can also cause a lot of problem. Just the right keywords, the category and what suits the job and titles best – should be kept at the top. Even if there are some official announcements or some facts or posts that you want to share, only good optimization is going to save the day! You can broaden your circle of people and customers or viewers by joining variety of communities and adding people on to your profile. Your posts, of course, will be shared by the customers or viewers and that in turn shall prove to be advantageous to your company profile. Branding is a huge thing that happens when you are having a social networking profile supporting your business. It helps you to increase the credibility and trust factor of your website and the face of your business in the market. Ultimately, it is for a better conversion rate that the entire work is going on. Lastly, whether you want to hire personnel into your company or you want people to take your business – you get a conversion with higher professionalism rate maintained and the best posts and stories regarding your business to be shared. Instant success is no more a myth!